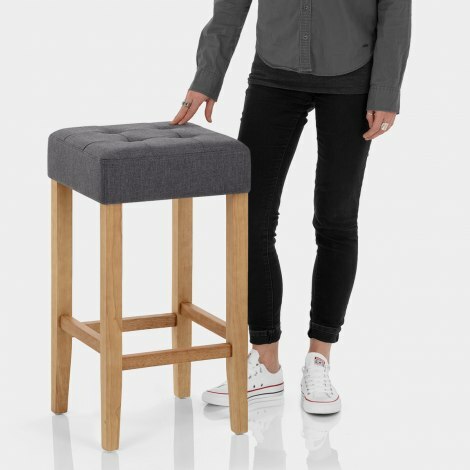 A backless beauty, the Oliver Oak Stool Charcoal Fabric will introduce a rustic edge to a modern space and add a fresh feel to a traditional interior. The Oliver is a compact design fixed at the perfect height for kitchen worktops, islands, and breakfast bars. The padded square seat boasts chic charcoal fabric upholstery with grid stitch detail, offering soft and comfortable seating at your bar area. Formed of durable solid wood, the traditional four-legged frame is enhanced by a natural light oak finish. 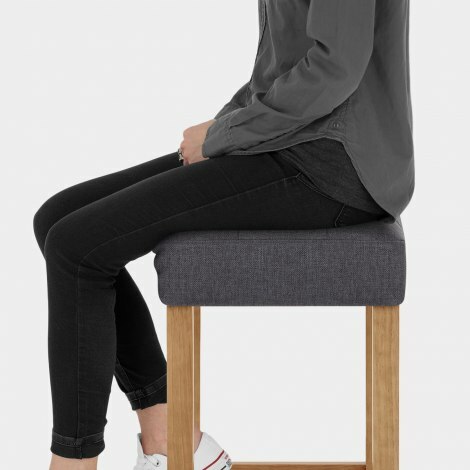 Offering extra strength and support, integrated braces connect the legs and double as sturdy footrests when seated. Complete with protective floor plugs, it is highly practical too. "Quality wood & upholstered seat cushion. 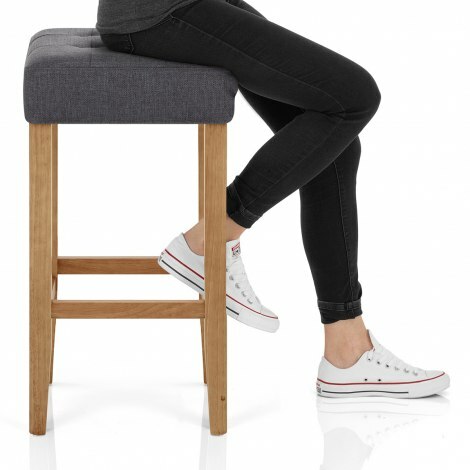 Very impressed"
The stools were easy to assemble, look great and extremely comfortable. Very good price for the quality. Nice sturdy stools. Took about 30 minutes to assemble the 2. Pleased with my purchase. Exactly what I wanted - simple to put together, comfy and fit perfectly under my breakfast bar. Excellent service from start to finish. I bought two stools for my breakfast bar 6 months ago - delivery was fast, they look great and are very comfortable and sturdy. So I've just bought another two! Stools arrived flat-packed but no problem to assemble. Quality wood & upholstered seat cushion. Very impressed.